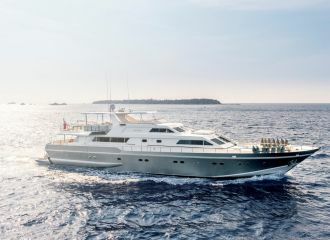 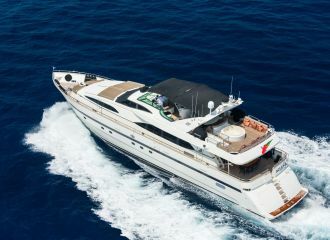 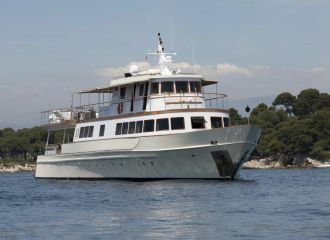 This Versilcraft 96 is the ideal charter yacht for large groups on the French Riviera from Cannes to St Tropez. 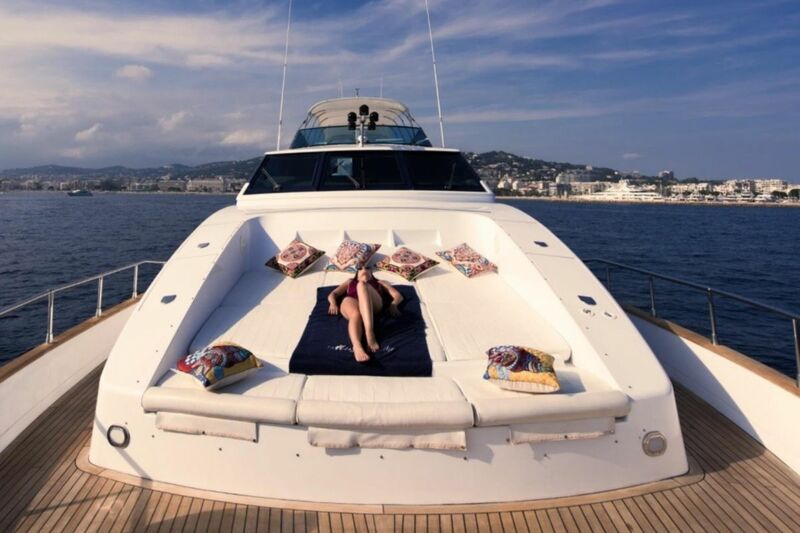 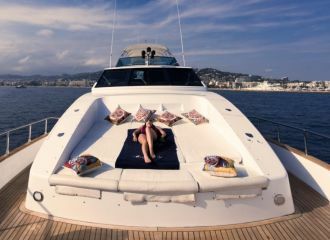 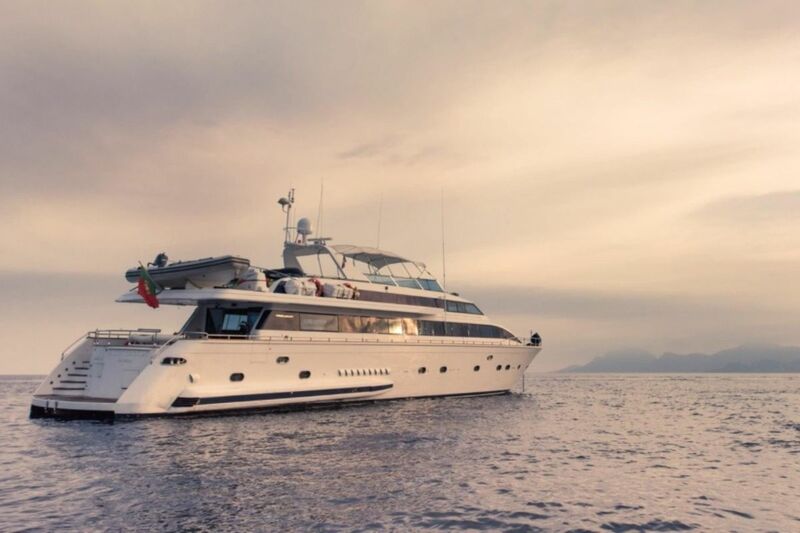 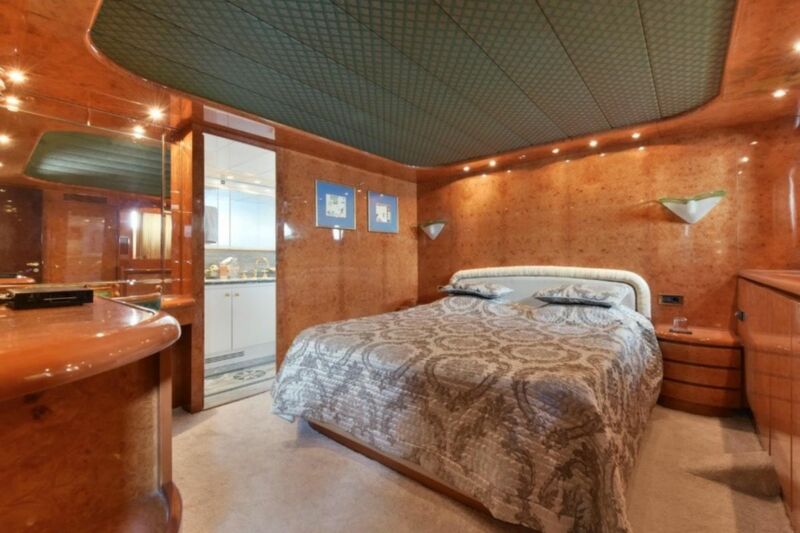 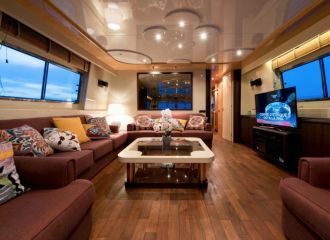 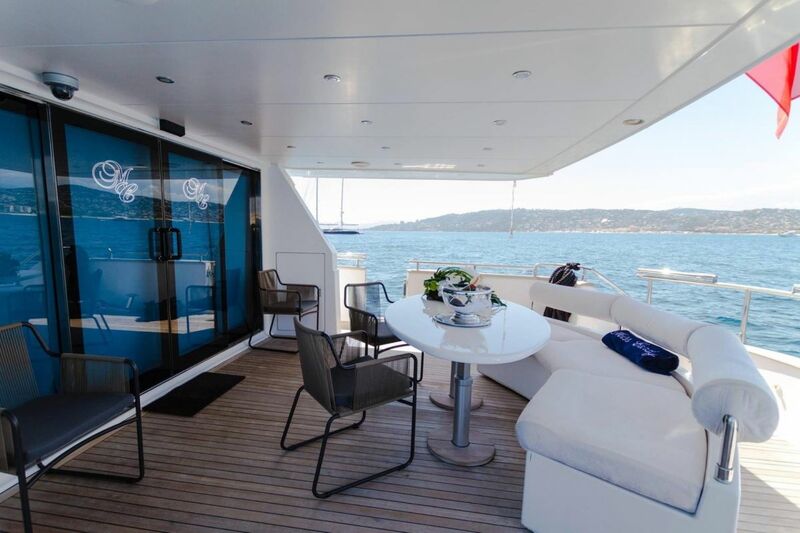 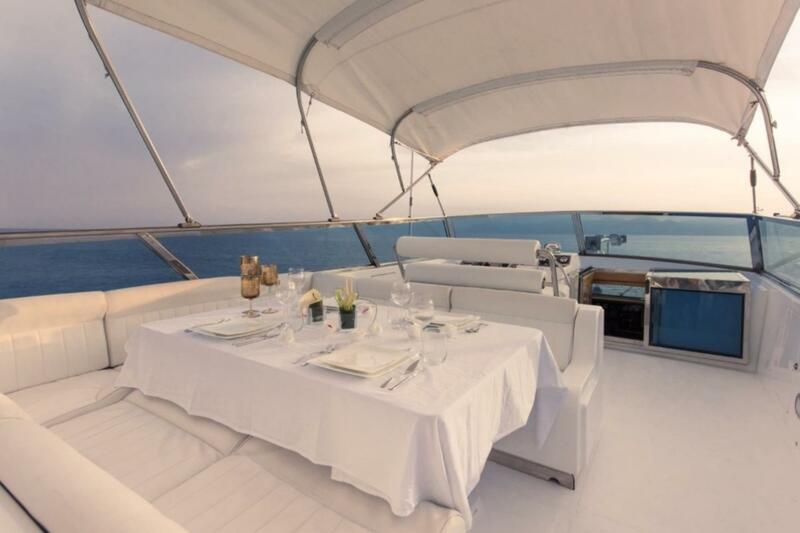 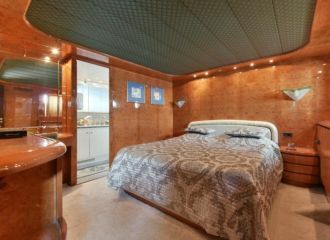 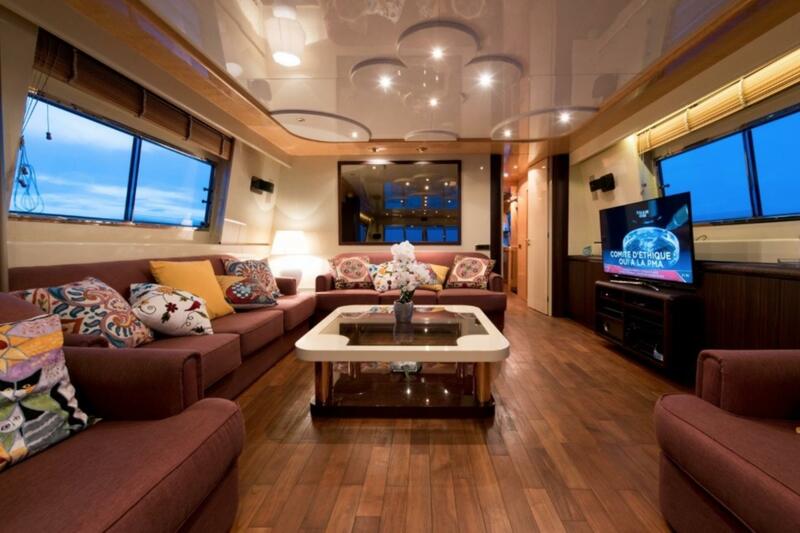 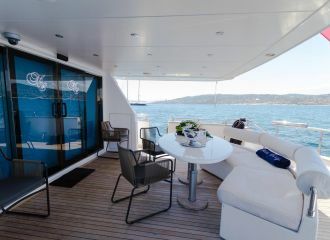 With large sunbathing areas, several seating and dining areas, this yacht can easily accommodate groups of 12 people + during a south of France yacht rental. 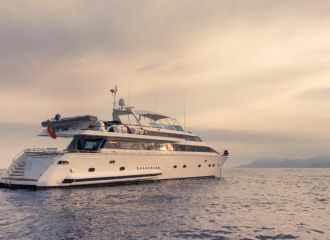 This Versilcraft 96 yacht can cruise with up to 35 guests onboard and offers accommodation for up to 8 guests in 4 cabins, all en-suite. 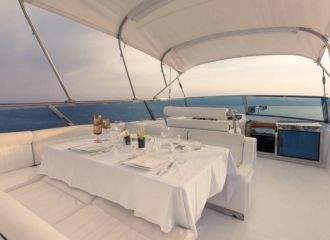 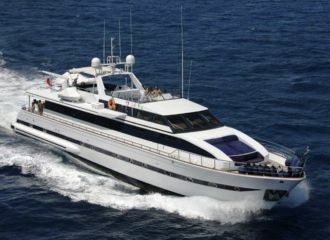 An ideal charter yacht for your birthday, wedding, event yacht charter or corporate yacht charter.